Celebrate a milestone in PlayStation history with this translucent dark blue model. With an ultra-comfortable design and dual built-in mics, the Gold Wireless Headset lets you discover how great your games can sound. 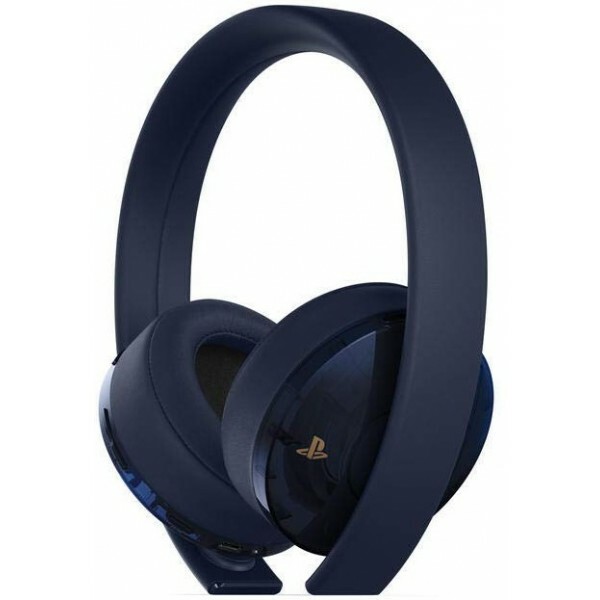 Hear unseen enemies and immerse yourself in explosive action with 7.1 virtual surround sound in PS4 games. Chat to friends and discuss tactics with teammates in crystal clarity with multi-position noise-cancelling hidden microphones. Create your own custom audio setups or use modes crafted by developers, specifically for their games, via the PS4 headset companion app. Fine-tune your settings as you play with built-in volume and mic mute controls.